(ZDNet) Payments giant PayPal will shed around 325 employees as part of a major shakeup of its organization by the firm's new president, David Marcus, exactly seven months after he took office. The full-time jobs will be cut as it merges nine product development teams into one, making PayPal a "more agile organization." The firm will also shed a further 120 contractors. Most of the cuts will come out of the firm's product and technology units. This accounts for about 3 percent of the company's workforce. PayPal had close to 13,000 employees earlier this year, Reuters reported. As a result, eBay (EBAY) will take a fourth quarter pre-tax charge of close to $15 million. "The intent is to simplify and speed up how products are developed. PayPal expects to continue its strong global growth momentum and leadership through online merchant expansion and share of checkout, by driving payments innovation at point-of-sale retail for large, medium and small businesses, and by engaging consumers online and offline with payments products and experiences that offer choice, flexibility, simplicity and security," PayPal parent company eBay said in a statement. The move comes as little surprise as earlier this month rumors suggested PayPal would see job losses, in spite of eBay's strong third quarter earnings last week. PayPal was said to be cutting up to 400 jobs amid a major reorganization according to a Bloomberg report earlier this month. Cutting the jobs is part of Marcus' strategy to revamp the payments service in the face of competition from its rivals, notably Square and Intuit. Confirming this to Reuters, Marcus said that the firm had to cut the jobs as the "law of diminishing returns" takes effect, saying: "You have a lot of duplication of roles with nine product groups merging into one." It's clear that the restructuring is just as much about keeping costs down in the face of a turbulent period ahead, as well as retaining the simplicity of design across the various divisions of the company. PayPal currently has more than 117 million active registered accounts -- a 14 percent increase from the same quarter a year ago -- with revenue increasing by 23 percent year-over-year. 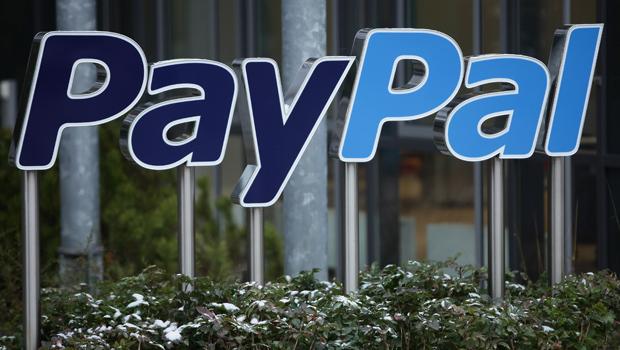 The firm's restructuring charge will not affect non-GAAP results, PayPal said. This post by Zack Whittaker originally appeared on ZDNet.